Delivery of Flowers service, located in Kitsilano on Vancouver’s West side, we deliver flower to all areas within lower mainland BC including the university of British Columbia, SFU, YVR and Kerrisdale. 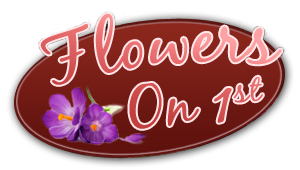 Our flower shop is a local florist servicing the city of Vancouver BC (British Columbia) since 1993. The store is located near VGH- Vancouver General Hospital and we can accommodate any request for get well flowers to VGH usually on the same day the order has been placed, need to send flowers, get well arrangements, Balloons, Chocolates, any other floral delivery you might have in mind, call Flowers on 1st toll free at 1-877-558-0303. Flowers on 1st delivers flowers to all local hospitals and funeral homes within the lower mainland British Columbia, Florist in Vancouver hotline for same day orders 604-558-0303. We will do all that we can to have your order delivered as quick as we can. Our flower shop delivers top quality roses in many colors, exotic flowers and floral arrangements anywhere in Vancouver seven days a week.Located in Kitsilano and serving the Kerrisdale district daily. Premium flowers are guaranteed to be delivered fresh at all times. Need to order Balloons, we offer a large selections of get well balloons and flowering plants with non stop delivery service to Vancouver General Hospital, flowers on 1st offers a large selection of fresh cut roses, gift basket, balloons and chocolates. Our online website offers many items and choices for any budget, trust Flowers on 1st to be your local choice of gifts and fresh floral products provider in Kitsilano and the rest of BC including Kerrisdale, Our delivery area includes UBC Hospital, St Paul’s medical facility, GF Strong Rehabilitation Center, the Cancer Agency located at 600 West 10th Ave in Vancouver, the Cancer Lodge, Easter Seals House where out-of-town families can stay while their children undergo medical treatments in BC hospitals. Vancouver General Hospital -VGH is a medical facility located at: 855 West 12th Avenue. Mount Saint Joseph Hospital is a community hospital located at: 3080 Prince Edward St.
Kitsilano florist offer daily flower delivery service to Lion’s Gate Hospital, this medical facility provides a full range of general and many specialized acute care services, a recognized trauma center, the hospital has 268 beds, seven operating rooms, and a variety of diagnostic services and equipment. It is the fourth busiest hospital in Vancouver and one of only five neurosurgery centers in B.C. Burnaby, Coquitlam, Port Coquitlam, Maple Ridge, Pitt Meadows, Richmond, West Vancouver, North Vancouver, YVR as well as the cruise ship terminal for ships traveling to Alaska. Have your flowers delivered anywhere in the City of Vancouver and all suburbs! including the new Centre for Digital Media located at digital media center -685 Great Northern Way, in Vancouver. “FREE DELIVERY”… no such a thing! You will be paying for the delivery one way or another. If the floral site you are using is claiming to offer you free delivery for your order chances are that it is already included in the total price you are charged for the flowers. In other words you will be getting a smaller size arrangement, or in the case of a dozen roses, you will get shorter stems roses or second class grade roses – or both. (the delivery driver is not working for free and (s)he needs to make a living like everyone else). Flowers on 1st offers fast delivery of flowers and balloons to VGH, UBC, SFU and Mount Saint Joseph hospitals in Vancouver. Delivery to Cruise ships is one of our main offering to customers, we deliver flowers, chocolates, birthday cakes, champagne, wine and cheese and caviar baskets to all cruise ships at the Vancouver ports including Canada Place and Ballantyne, cruise ship lines we deliver to: Royal Caribbean, Holland America, Celebrity cruises, Princess Cruises, Carnival lines and Disney cruise lines. Orders and deliveries to cruise ships at the Vancouver ports will carry extra delivery charges since the ship will be charging the florist surcharge for every item delivered. Arbutus Manor, B C Children’s & Women’s hospitals, Burnaby Hospital, British Columbia Cancer Agency, GF Strong Rehabilitation center, Holy Family Hospital, Lions Gate Hospital, Mount St Joseph Hospital, Sunny Hill Health Ctr , Ubc Hospital, Vancouver General Hospital, Crofton Manor, Richmond Hospital, St Paul’s Hospital and Ronald McDonald House for families and children at the Children hospital campground. Bell Funeral Chapel, First Memorial Funeral , Forest Lawn Funeral Home, Glenhaven Memorial Chapel, Hamilton -Harron Funeral, Hollyburn Funeral Home , Ocean View Funeral, Vancouver Crematorium, Armstrong Funeral Chapel, Burnaby Funeral Directors & Kearney Funeral services on West 2nd Ave in Vancouver. We deliver flowers to the UBC Campus in Vancouver is easy, our flower-shop is located in Kitsilano and we are only a short distance from the University of British Columbia, we deliver to Totem Park, Place Vanier, Student Union Residences and UBC hospital as well as all other departments within the university. Flowers on 1st offers same day delivery of flowers and fresh long stem roses to Langara Campus. The Burnaby main campus of SFU is located at 8888 University Drive in Burnaby BC, Flowers on 1st offers daily delivery service to all addresses at SFU including residences and all the departments of the university.This is a well known research university in British Columbia. Simon Fraser University- Surrey Campus: is located at 102nd Ave in Surrey BC, the downtown Vancouver location for SFU is 515 W. Hastings Street.Our flower-shop at Kitsilano florist are offering daily non stop delivery of floral/gift/cakes and balloons as well as wine and cheese gift baskets to all three campuses. Orders placed with us over the phone and or online on our website that includes perishable items especially food items, specific color flowers/roses etc. can’t be cancelled after the order has been places and may require in most cases at least 3 days advance notice. All cancelled orders may require our written approval otherwise we will apply some minimum charges to recover our direct out of pocket costs involved in pre-ordering such items.